Square Enix’s newest installment to the Romancing SaGa series, Romancing SaGa Re:Universe, is headed to Japan mobile devices on December 6th, 2018. The game will be free for download. 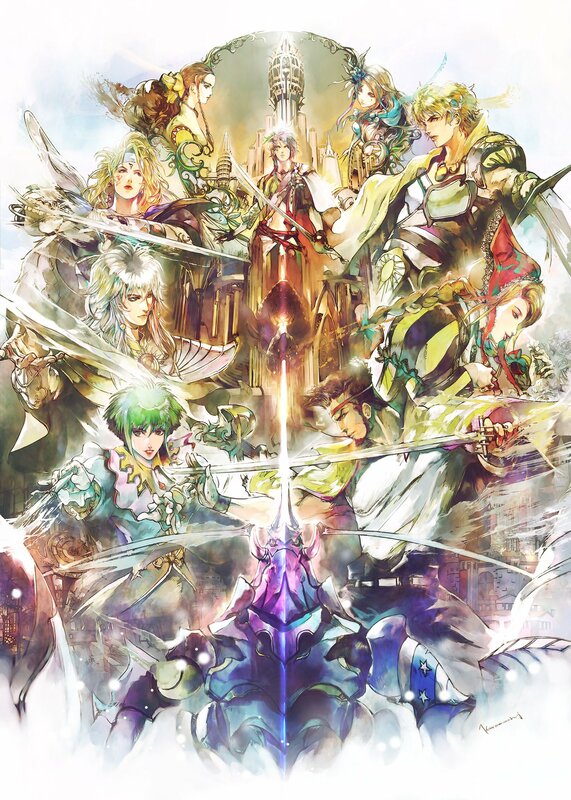 Revealed during Tokyo Game Show alongside the announcement of a Romancing SaGa 3 remake, this latest entry takes place 300 years after Romancing SaGa 3 and follows an all-new original story. Alongside the release date announcement trailer, beautiful key art was also revealed on the official twitter for Romancing SaGa Re:Universe, showcasing many of the main characters in full. You can check out the artwork below. Romancing SaGa Re:Universe is scheduled to release on December 6th, 2018, in Japan for iOS and Android devices. Why are they keeping producing shiity mobile games with bad graphics… WHY? I hope this is not a real question and you do know the obvious answer to it yourself already.